With snow banks receding in many regions, golf course owners should be smartly planning, prepping and marketing their assets to attract the millions of players returning to the links. Properties managed by Billy Casper Golf (BCG) are ahead of the curve with dynamic pricing for daily-fee courses, new programming for private clubs, destination marketing for resorts and other advanced strategies. Talk about surgically driving golfer and member acquisition and retention early, often and at high financial yield. Last month, we bid farewell to one of the game’s greatest champions and gentlemen with the passing of BCG namesake Billy Casper. The two-time U.S. Open winner and Masters champion is survived by Shirley Franklin Casper, his wife of 62 years, 11 children, six of whom are adopted, and 71 grandchildren and great grandchildren. His extended family includes more than 7,600 BCG employees (peak season). Billy’s passing will neither deter nor impact BCG’s ability to successfully operate golf properties. We remain strong, vibrant, innovative and committed to reinforcing Billy’s legacy. BCG is honoring his memory by fulfilling his desire that each team member strive to treat members and guests with utmost integrity and respect. There’s a powerful aura (think goosebumps) the moment you walk through the doors of the private Forest Hill Field Club in Bloomfield, NJ, 15 minutes outside New York City. Opened in 1896, it was a regular stop for New York Yankee legend Babe Ruth. Hanging on the lobby wall, there’s a photo of the slugger yakking it up with Bob Hope at Forest Hill. Let’s not forget the Manhattan skyline is visible from restaurant and banquet facilities, while golfers on the first tee target the Empire State Building. In addition, two episodes of HBO’s “The Sopranos” were filmed there. As for golf, the iconic 18-hole, 6,547-yard, par 71 layout was designed by A.W. 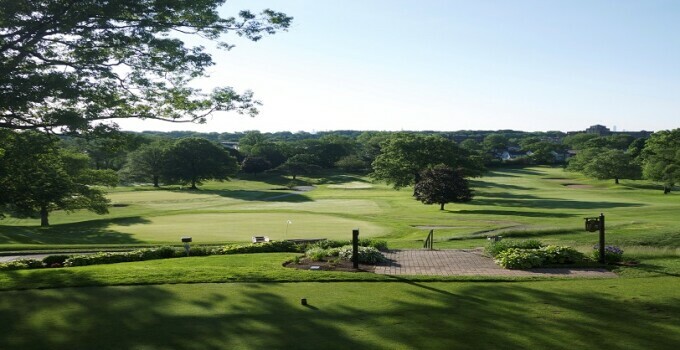 Tillinghast, one of the most prolific architects in history. Tree-lined fairways and fast, undulated greens make for fun and challenging experiences every round. BCG was recently selected to manage Forest Hill to inject new life into membership programs, special events and outing and tournament sales. There’s a new, sanguine attitude at the club that has the community buzzing. More Americans are returning to the workforce: government data shows employers added 257,000 jobs in January 2015 after 329,000 in December and 423,000 in November. Consumer spending is forecast to increase this year by 3.5 to 4% as higher wages (3% average) and falling inflation will boost disposable income by 4%. That’s welcome news for golf course owners. Combined with lower gas prices, more people are poised to open their wallets on greens fees, food and beverage, merchandise and other ancillary spend. One of the longest continuous stretches of oceanfront golf (holes 5-8) in Hawaii is now being managed by BCG. Home to the 219-yard, par-3 No. 5 that Nicklaus calls “one of the best holes anywhere,” guests face a tee shot over a mango and guava tree forest to a green closely encircled by bunkers and dense, tropical foliage. It is BCG’s job to position the Kauai Lagoons brand as a “must play” for global golf travelers, introduce a sense of community among locals and run a highly efficient and profitable operation. Although the average long-term U.S. mortgage rate in February rose to 3.69% (down from 4.28% a year ago), it remains near historically low levels. This aligns with a sharp increase in home buying confidence – 30% of Americans feel now is a “very good time,” up 10% from 2014. Their likelihood to purchase is 29%, up 8% from last year. Millennials are the primary fuel with more than half of the 18-34-year-old set “very likely” or “extremely likely” to become a homeowner in the next 12 months. These trend lines have developers of golf-course communities rejoicing. BCG is integral to the momentum by professionally operating their golf courses which is invaluable to the residential sales process. Applications to play in the U.S. Women’s Open rose at historic rates in 2014 with 1,702 golfers entered into sectional qualifying tournaments. The USGA expects to break that record this year. Furthermore, Lydia Ko, Michelle Wie and Stacy Lewis lead a surging LPGA Tour, women are now in leadership positions in the USGA and PGA, and the Solheim Cup will make its Germany debut in September. Even the best player ever couldn’t have won six titles without a supporting cast. Think of BCG as your starting five to take your property to the next level. Our leading-edge agronomy, human resources, information technology, marketing and PR, and operations platforms will assist you in becoming golf’s Michael Jordan over your competitive set. Is there a time I can call you to discuss your golf asset’s challenges and opportunities?